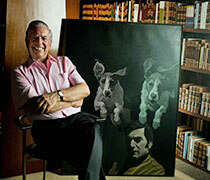 A roundtable discussion with writers Jorge Volpi, Pedro Ángel Palou, and Sami Tchak. 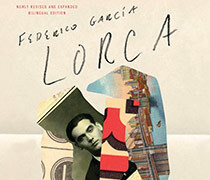 The festival will honor Lorca with performances, concerts, readings, lectures, and a world-premiere exhibition of Poet in New York at The New York Public Library. 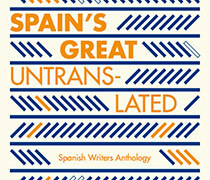 SPAIN arts & culture and Words Without Borders present an anthology of some of Spain’s most prized and untranslated literary works. 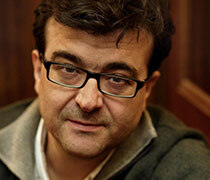 Javier Cercas will read from his latest works and discuss the state of contemporary Spanish literature at the Library of Congress. 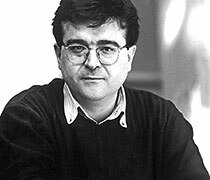 Javier Cercas will discuss his work as a fiction writer and his incursions in non-fiction literatura, including his latest English translated works. 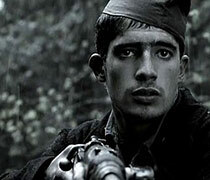 Javier Cercas will participate in a round table about his work, memory, today's Spains and his novel Soldados de Salamina. One of Spain's most translated contemporary writers is back in New York to participate in several lectures and discuss his latest books. 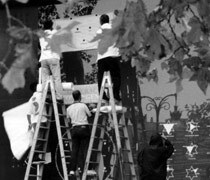 Transatlantic Conversations offers three conversations, each between two renowned writers, one from Latin America and the other from Spain. 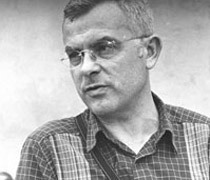 Enrique Vila-Matas in Washington, D.C. 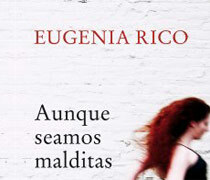 The Spanish author presents Dublinesque at George Washington University. 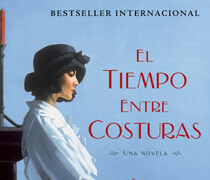 The Spanish author presents Dublinesque and Escribir Paris at various locations in New York City. 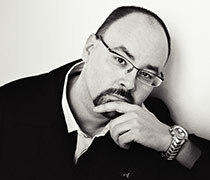 Carlos Ruiz Zafón, author of The Shadow of the Wind, in conversation with Writers Bloc Presents founder Andrea Grossman. 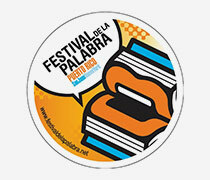 The third edition of Festival de la Palabra features seven Spanish writers and centers on the theme The voices of the World. 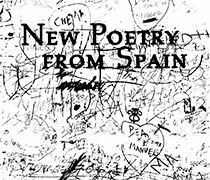 Presentation of New Poetry from Spain, published by Talisman House and edited and translated by Marta López-Luaces, Johnny Lorenz, and Edwin M. Lamboy. 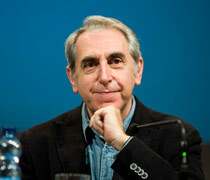 A conversation with the recipient of the 2010 Nobel Prize in Literature. 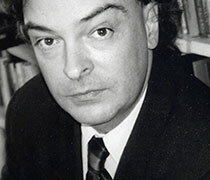 A poetry event with Ramón Dachs at Instituto Cervantes New York. 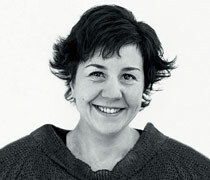 'Reading and Writing: Approaching Short Stories' with Mar Gómez Glez. Join Spanish writer Mar Gómez Glez during Hispanic Heritage Month to discover her focus as a writer on the relationship between reality and fiction. 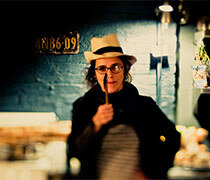 Contemporary literature and translation: Edith Grossman and Javier Calvo. 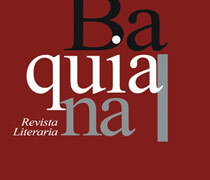 Contemporary novel and the transcendental: Javier Calvo and Peter Manseau. 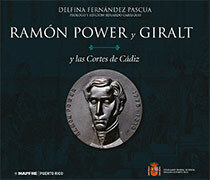 To commemorate the Bicentenary of Cortes de Cadiz, MAPFRE and the General Consulate of Spain in Puerto Rico have published a book about Ramon Power y Giralt. 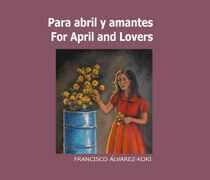 Francisco Álvarez Koki, author of a dozen of books, will introduce his latest work —For April and Lovers— where navigates between social and love poetry. 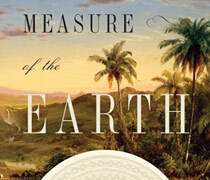 Author Larrie D. Ferreiro presents the Enlightenment Expedition that Reshaped Our World at the Embassy of Spain. Poetry reading and discussion by poet, author and former Minister of Culture of Spain César Antonio Molina at Instituto Cervantes New York. 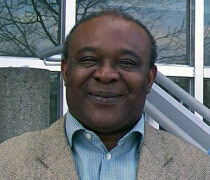 Strengthening cultural diversity through literature, art and music. Poetry reading and discussion by poet, author and former Minister of Culture of Spain César Antonio Molina at Georgetown University. 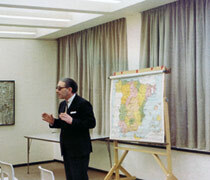 Poetry reading and discussion by poet, author and former Minister of Culture of Spain César Antonio Molina at the University of Maryland. 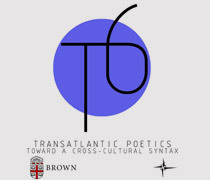 Transatlantic Poetics towards a cross-cultural syntax. 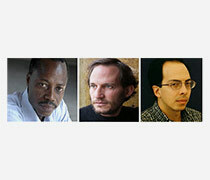 Conversations with African Poets and Writers Series at the Library of Congress. 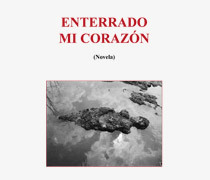 Author Leah Bonning presents Enterrado mi corazón (Buried Heart) at Instituto Cervantes New York. 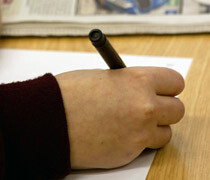 The Fair will offer a wide-ranging cultural program with the book and literature as central topics. The Spanish journalist and writer Alfonso S. Palomares will represent Spain in the first edition of this international Fair. 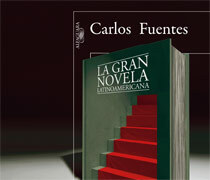 Carlos Fuentes, one of the key authors of Spanish literature, presents his latest essay, The great Latin American Novel . 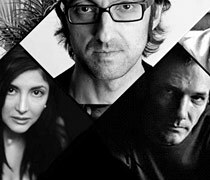 Transatlantic Conversations offers four conversations, each between two renowned writers, one from Latin America and the other from Spain. 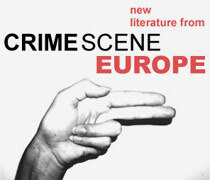 In celebration of all things literary, eight European cultural institutes in New York have teamed up to present a new edition of New Literature from Europe. 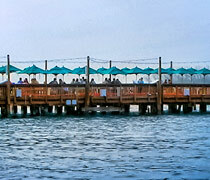 A conversation with bestselling author Maria Dueñas. 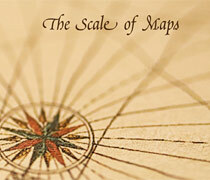 Author Belén Gopegui presents the english translation of her novel The Scale of Maps , a tale strung between the work of Cervantes and Nabokov. 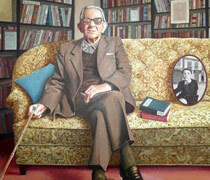 How one of Spain’s greatest authors lived, taught, and wrote some of his finest works in Albany, New York. 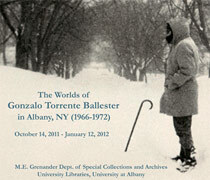 This exhibit explores for the first time the connections of one of Spain’s greatest authors to Albany, where he lived, taught, and wrote some of his finest works. On the hundredth anniversary of the birth of Torrente Ballester, this exhibition presents a faithful portrait of the renowned Spanish writer. 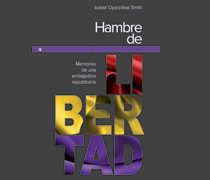 book presentation of Isabel Oyarzábal’s autobiography —Hambre de libertad. 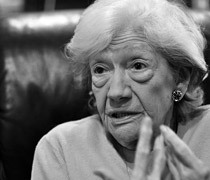 Memorias de una Embajadora Republicana— by author Aurora Luque and UN advisor on women’s rights Bibiana Aído. 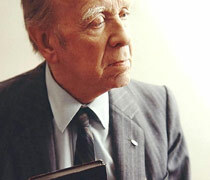 Twenty-five years after the death of Jorge Luis Borges, the Library at Instituto Cervantes New York, named after him since 2003, wishes to honor him and his works. 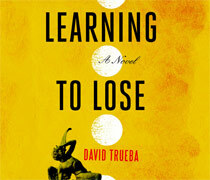 Learning to Lose won the Critics Award in 2009 and marks Trueba’s English-language debut. 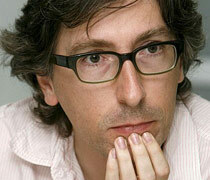 Conference on film and literature in the Hispanic World by director, screenwriter and novelist David Trueba who will be introduced by Nat Chediak, dean of South Florida specialized film exhibitors. 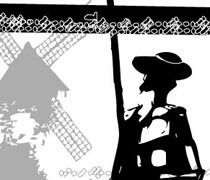 Why is the Quijote still being read today? 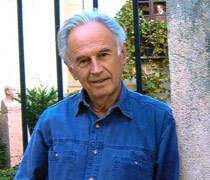 Lecture by Dr. Roberto González Echevarría, Yale Sterling Professor of Hispanic and Comparative Literature and 2010 National Humanities Medal Winner. The participants, their relatives and teachers are invited to the awards ceremony for the XIII Escribo en Español literary contest for elementary, middle and high school students. 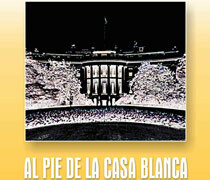 A reading from the poetry anthology, At the Foot of the White House: Hispanic Poets in Washington D.C, published by the American Academy of the Spanish Language, and edited by Luis Alberto Ayala Ambroggio and Carlos Parada. 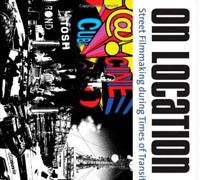 Join author Ann Marie Stock for a reading of On Location in Cuba and screening of a Cuban film with English subtitles. 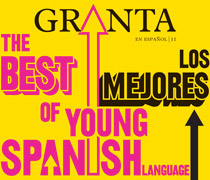 Building Bridges: Spanish and English Language Writers in Conversation is a literary tour in major US cities featuring some of the Best Young Spanish Language Novelists, from May 16th to May 25th. 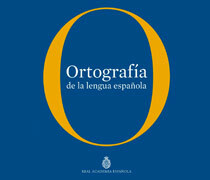 The Royal Spanish Academy and the Association of Spanish Language Academies present the revised and expanded edition of La Ortografía de la Lengua Española. In 1944, six-year old Thomas Mermall was the only Jewish child within a hundred miles radius who, thanks to the courage of his father, managed to escape the Nazi genocidal onslaught in Hungary. 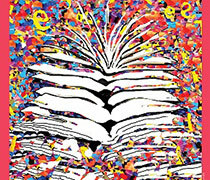 Professionals in the fields of education and children’s literature will discuss recent developments and problems in children’s and young adult literature. 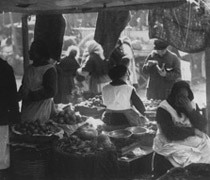 Spanish and Portuguese, neighbouring languages in the Iberian Peninsula and in South America, two languages with a common past, at times have thrived as if the other did not exist. Considered one of the key figures in contemporary Spanish literature, Ana Maria Matute has managed to put the imagination at the center of her writing, both in her realistic and fantastic work. 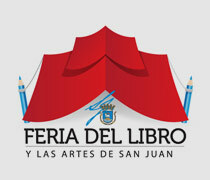 Puerto Rico's Festival of the Word will take place in San Juan from May 4th through May 8th with the theme "Dreams and Delusions of Identity." 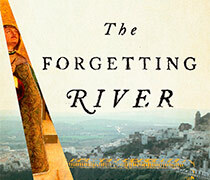 Revel in the spectacular story-telling of the celebrated anthology Best European Fiction. 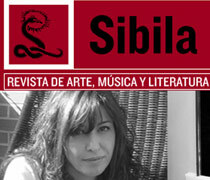 Instituto Cervantes hosts a panel on the state of affairs in contemporary Spanish-language fiction. 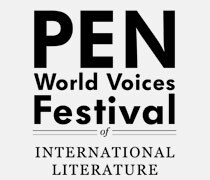 Each year the International Literature Festival PEN, celebrates Voces del Mundo (Voices of the World) with various round tables and conferences that feature well known international writers. 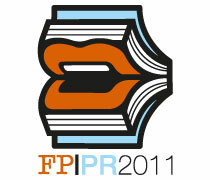 This year Julián Ríos will participate in this event. 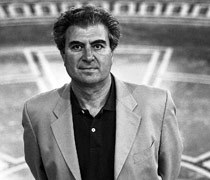 Diego Ropero-Regidor, Spanish historian and poet of the so-called 80s Generation will be in Seattle for a book presentation, lecture and reading. 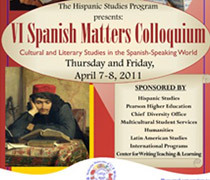 The 6th Annual Spanish Matters Colloquium on Cultural and Literary Studies in the Hispanic World features scholarship on Spanish and Latin American literature and culture produced at all levels of post-secondary education. 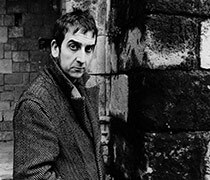 In Discover the city, Rafael Chirbes proposes an adult voyage in memory and in literature, surrounding the vital and aesthetic experience of discovering the city as a child. 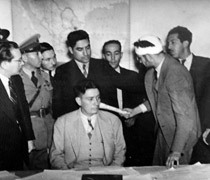 A discussion of the clash between psychoanalysis and Stalinism in Mexico during the 1930s. 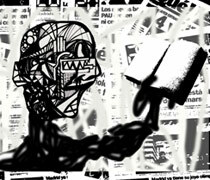 You are viewing our Literature archive.